The Newtown Pippin originated as a chance seedling on the banks of Newtown Creek, which is now the dividing line between Brooklyn and Queens. This popular apple variety had a stellar international reputation in America’s early days and became a commercially important cider apple across the nation, from the eastern seaboard to the Wild West. 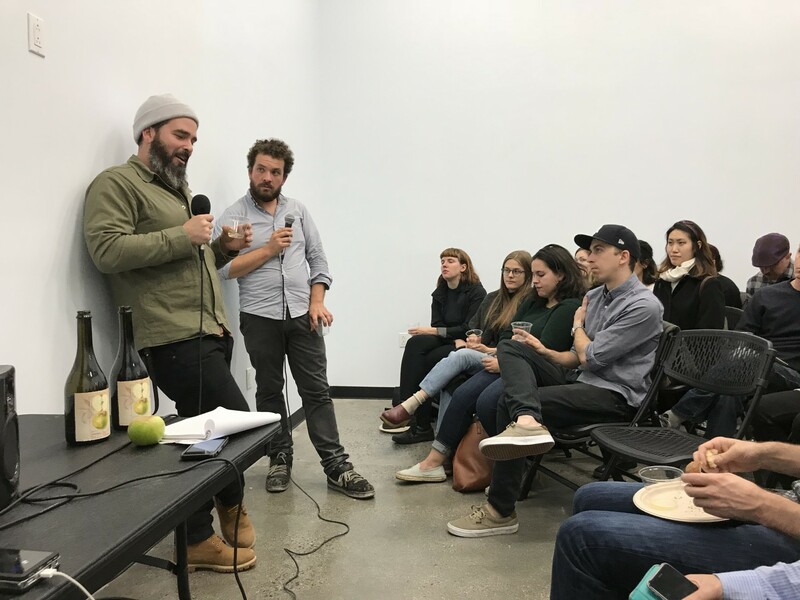 On Thursday, October 26, we explored the storied history and geography of the Newtown Pippin as we tasted apples and ciders from orchards and cidermakers all over the country. We hosted the event in the beautiful gallery space at 100 Bogart (the new home of the HRN office team), which happens to be just a few blocks from the Newtown Creek! There were apples everywhere, gathered from 13 orchards around the country. 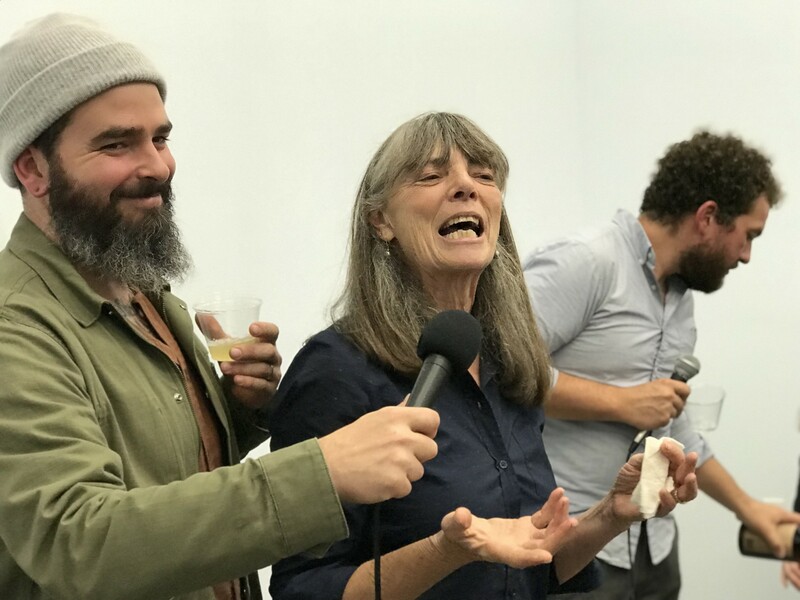 Daniel Pucci, former Cider Director of Wassail in Manhattan, and cider expert and author Darlene Hayes helped us organize the event. Listen here as Dan, Darlene, and Gidon Coll (owner and cidermaker of Original Sin Hard Cider) share their research on the history, terroir, and varietal characteristics of the Newtown Pippin gathered from the four most important and historic regions for its cultivation—northern California, the Pacific Northwest, Virginia, and New York/New England. We tasted apples from each region in order to experience flavor differences in the fruit, then also tried ciders made with fruit from the same orchards. 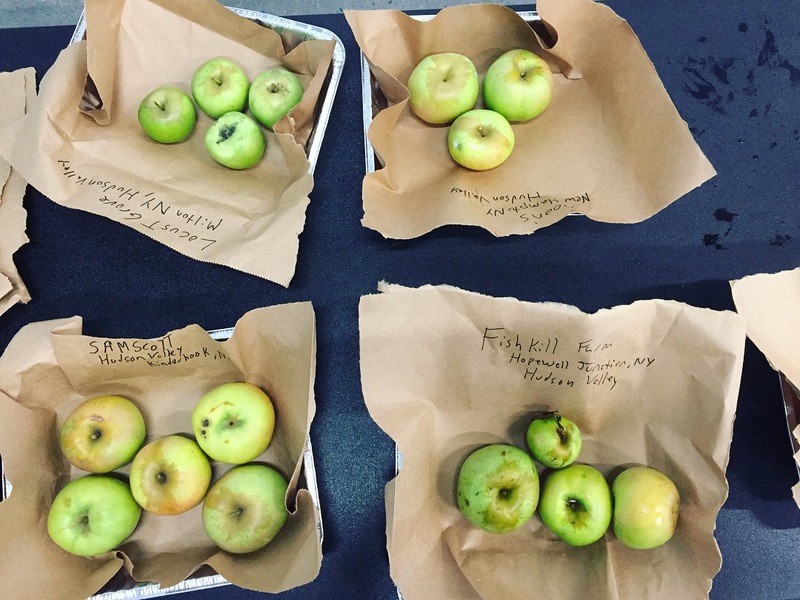 Terroir isn’t often discussed when talking about cider (as it is with wine), but Dan and Darlene shared some preliminary analyses that started the conversation about the role of soil, topography, and climate in taking apples from orchard to glass. We were also thrilled to welcome Ryan Burk, the head cidermaker of Angry Orchard, to guide the discussion and tasting. Ryan’s New York roots run deep. He grew up in upstate New York and some of his first jobs involved working on orchards in his hometown. He has always been interested in agriculture and fermentation, both of which led him to pursue a career in cider making. We kicked off a tasting of 18 (18!) 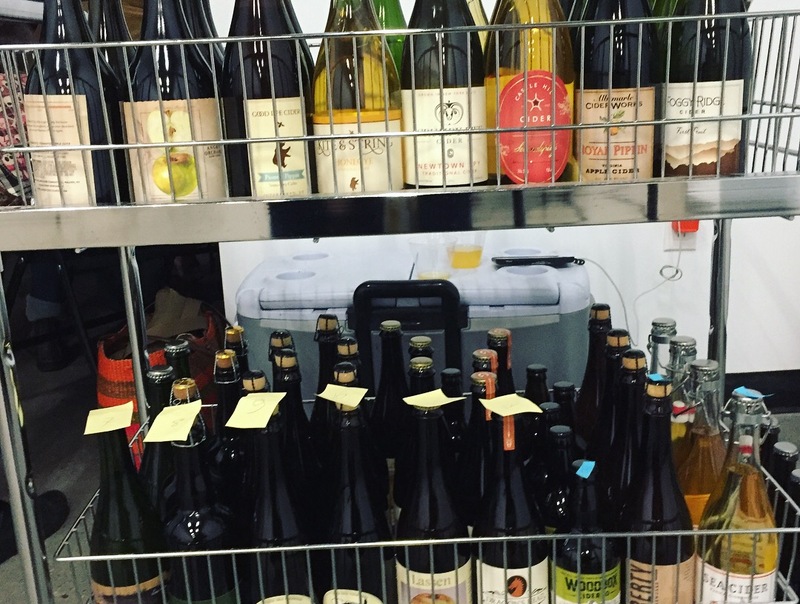 single varietal (or Newtown Pippin blend) ciders with a Newtown Pippin single variety cider made at Angry Orchard’s Walden, NY research and development facility. 100 Bogart is a brand new, state-of-the-art coworking space located in one of the most creative neighborhoods in New York City: Bushwick, Brooklyn. 100 Bogart provides turnkey workspaces that include open layout desks, meeting spaces, and furnished private offices. Their members have access to top notch amenities, such as custom furniture, high speed internet, spacious kitchenettes with coffee and tea, printers, scanners, and much more. 100 Bogart is among the tallest buildings in the area and has floor-to-ceiling windows, bike racks, an expansive terrace, underground parking, and an accessible rooftop with panoramic views of Manhattan. Being in the heart of Bushwick, members of 100 Bogart are within walking distance to inventive eateries, niche bars, eclectic art galleries, and the Morgan Avenue L train stop. In July 2017, the Heritage Radio Network office team made our new home at 100 Bogart, just down the street from the HRN recording studio at Roberta’s. Thanks to Emmi Roth and Roberta’s for providing food for this event!